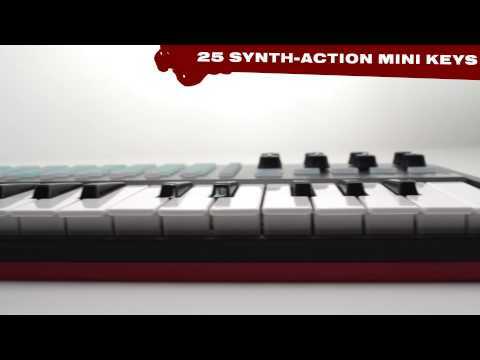 Considering purchasing the Akai APC Mini? Have questions? Ask people who've recently bought one. Do you own the Akai APC Mini? Why not write a review based on your experience with it. I use this unit for Ableton and Daslight. It controls both programs really well. Strangely the buttons are a comfortable size despite looking really small in the picture. All the buttons are rubber and all are lit. The faders are smooth and offer a bit of resistance to give that premium feel to them. The unit is nice and lightweight and a good size. it fits the same pocket that is for my ipad in my bag so easy to store. the pads are pressure sensitive so allow you to use them effectively as drum pads etc or get creative with lighting programming. Not much else to this unit. it's easy to transport, simple to use, cheap as chips and a great addition to lighting software especially. The Akai APC Mini has a very nice high end feel for the price, Good Resistance on the sliders and a nice click on the buttons. It would be nice to see more that 3 colors but it is good that the color can be either on or flashing. I use this mainly for a midi input for DMX controlling. I use this for controlling QuickShow laser software. Thanks to the layout it maps exactly onto the Pangolin software and has auto midi mapping as well. The unit itself has good build quality and is a robust piece of kit and an excellent price point. A very well built piece of kit with nice pads. I use this to command cues on MYDMX 2.0 and it works a treat! 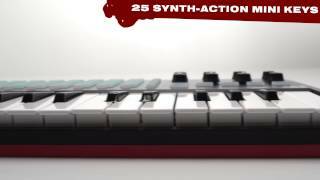 Seen a video for Akai APC Mini online or have you own video? 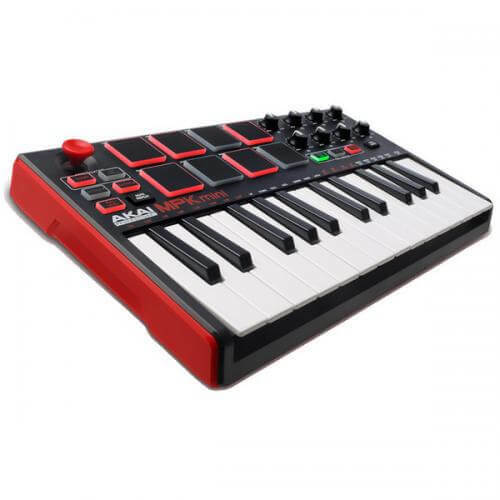 Check out Akai APC Mini on DJkit.com!